As a promotional products expert with HALO Branded Solutions, Janet Dane-Nelson is uniquely positioned to provide her clients with unsurpassed quality, value and service. 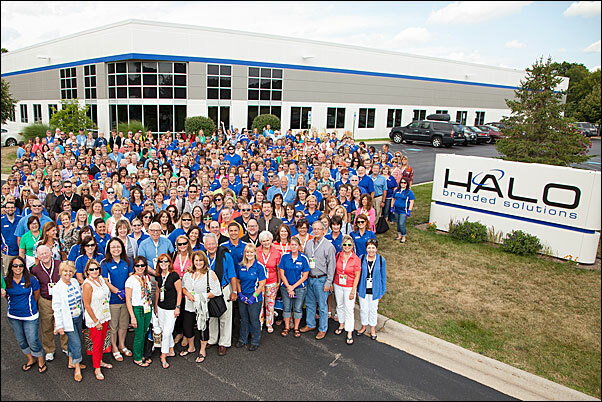 HALO Branded Solutions has 60 years of experience as a leading distributor of promotional products. With thousands of promotional product choices and customization options, we know these can become complicated purchases. We can help! If you can't find exactly what you are looking for in our online catalog of nearly one million items, give us a call. We will find exactly what you are looking for. Expect exceptional customer service when you work with HALO - customer service is the heart of HALO Branded Solutions. In addition to this website, we have over 700 Account Executives in nearly 50 states to provide you with personal service. Your local Account Executive can help you with HALO's full suite of corporate branding solutions & products including promotional pens, trade show items, company logo storeservices, employee incentives, custom bags, safety gifts, reward programs, healthcare promotional products, promotional calendars,custom drinkware and more. Product safety assurances and experience in a world beleaguered with increasing product safety concerns is also one of the key reasons why over 40,000 clients have trusted HALO Branded Solutions with their brands.